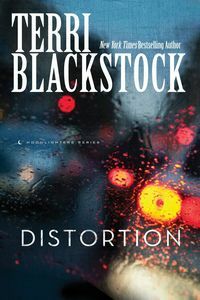 Distortion by Terri Blackstock: Synopsis and Online Purchase Options. Synopsis (from the publisher): When Juliet Cole's husband of fifteen years is murdered before her eyes, she thinks it was a random shooting. Devastated and traumatized, she answers hours of questioning, then returns home to break the tragic news to her boys. But a threatening voicemail takes this from a random shooting to a planned, deliberate attack. Juliet realizes that she and her children are in danger too, unless she meets the killers' demands. But as she and her sisters untangle the clues, her husband's dark secrets come to light. The more she learns, the more of her life is dismantled. Was her husband an innocent victim … or a hardened criminal?